Our collection of articles with tips on planning your wedding (with filming in mind), along with a few snippets of media coverage. … with a slight bias on the ‘destination’ being Rarotonga or Aitutaki (Cook Islands). Jun 2012: Pros and cons of tying the knot abroad. Apr 2010: Feature on Alex & Kevin’s luxury wedding in Rarotonga (which we filmed), with a bit about us ‘Keeping the memories alive’. The full article includes information and tips on planning a wedding in Rarotonga. Filming in Rarotonga, we see what goes into the perfect island wedding. We’ve also asked other Rarotonga wedding professionals to share their tips for antipodean brides planning a destination wedding. 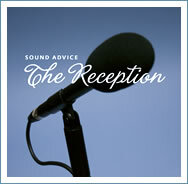 …every guest has a camera and an iPhone and is tweeting the whole event. They’re there with you, but are they really present? Nov 2011: Katie mentions us in her wedding diary and honeymoon write-up :). Jan 2011: A feature on our tropical wedding filming packages. 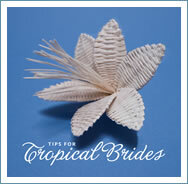 Jul 2010: Feature on Tiare Films with bonus article on choosing flowers for a tropical wedding. News-type info has now been moved to our Facebook Page. Recommend articles and send us feedback on our Facebook Page.